1.Basic information about this yogurt shop . Project : yogurt shop . Color : green , pink . Material : MDF . Shipment: foam inside + wooden box outside . For this yogurt shop , total is about 50sqm , mainly material is MDF , surface is glossy baking painting finished, white corian worktop, whole shop use bright-colored green and pink color , looks very nice . Inside with two lines wooden counter with cabinet for storage , a Self -serve yogurt stand service . seats area with round chair and bar chair , It can meet the needs of different customers . it’s very comportable . 2. 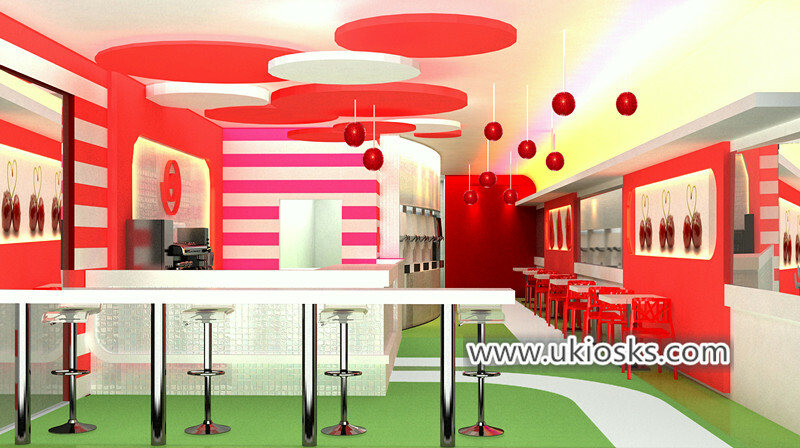 More detail images for this yogurt shop . 3. 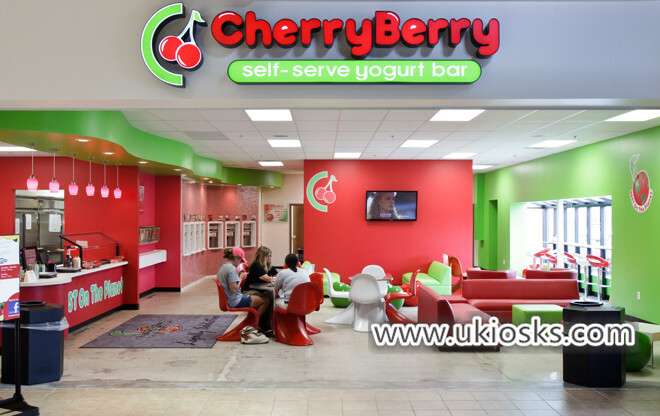 How to build a yogurt shop like this one ? 1)more than 10years experience manufacturer with our own factory. 2)Advanced equipments: laser carving, acrylic cutting, wood material cutting machines and painting equipments, etc. 3)High standard materials, up to national and international standard. 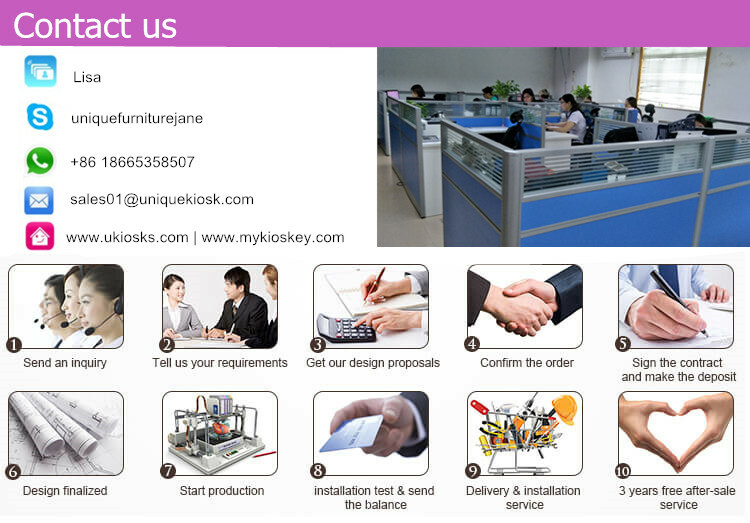 4)Exquisite design, strong productivity, fast delivery. 5)High quality and competitive price. 6)Experienced staffs and scientific management system . Thanks for your time and reading , if you need more further info about this yogurt shop, pls feel free to contact us , thank you !